City College Students tend to share a common goal of working toward transferring to a UC or CSU, but picking the right school for upper-division learning can be a difficult task. Luckily for students that may be having trouble deciding on the best place to continue their education, City College has many resources to help make that decision easier. 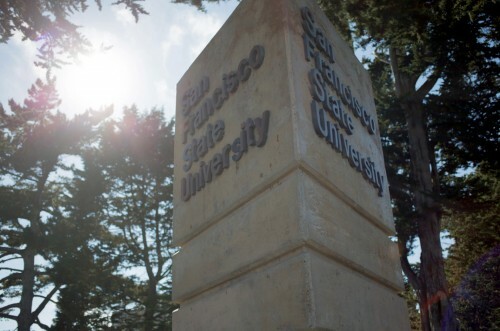 According to City College Transfer Center counseling clerk L. Juliana Singleton, the transfer center is taking registrations through Aug. 30 for a day trip to San Francisco State University, which will take place Sept. 14. A flier for the trip explains that students will depart for San Francisco at 7:30 a.m. and will return to Sacramento at 5 p.m. The trip will allow students to “learn about the campus life, the student life and so much more,” says the flier. Singleton says that seats are limited and will be assigned on a first-come, first-serve basis. More information about the trip is available in the City College Transfer Center in Rodda North, room 147, by contacting Singleton at (916) 558-2181 or by email at singlel@scc.losrios.edu. This entry was posted in News, Sac City Express (SCC) and tagged bus, campus, City College, colleges, daniel wilson, San Francisco, SFSU, students, success, trip, university, visit. Bookmark the permalink.